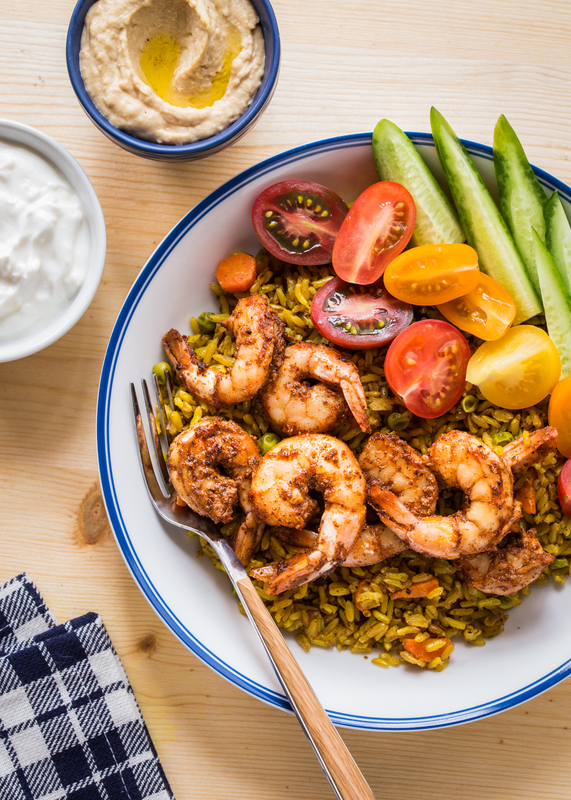 This post, Shrimp Shawarma Bowls, is sponsored on behalf of McCormick®. All opinions are, as always, my own. Thank you for supporting the brands that I love and that help make Jelly Toast possible. Recently, my niece was over at our house for dinner and we ended up picking up food from one of our favorite takeout restaurants. We ordered a variety of dishes including stuffed grape leaves, Kibbe, and chicken shawarma. Shawarma is one of my favorite dishes to get from out! It’s wonderfully spiced, grilled chicken full of warmth and heat served along side a rice pilaf with a hint of sweetness, plenty of fresh tomatoes and cucumbers, and a creamy garlic yogurt dressing. I have always been one to take inspiration for my own cooking from a particularly memorable meal out at a restaurant. If I come across an interesting combination of flavors it’s so exciting to try to recreate them at home in my own kitchen. It was after this most recent takeout expedition that I decided to give Shawarma flavors a try at home. 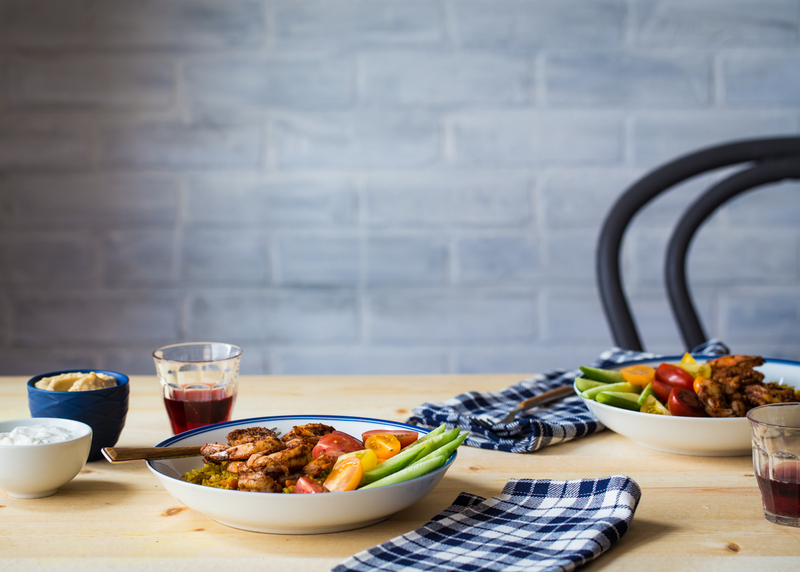 During Lent, my family observes meatless Fridays so coming up with seafood dishes and other meatless meals is always something I am looking to do. I decided to take the classic flavors of a chicken Shawarma dinner and turn it into a Shrimp Shawarma Bowl. Honestly, my family often eats everything out of our low wide pasta bowls, so bowl food is totally our jam. I found a great recipe for Homemade Shawarma Seasoning from McCormick® and made a batch to keep on hand. It used seasonings that I had in my cabinet already such as cinnamon, ginger, allspice, and cumin. I have used the Shawarma spice blend sprinkled on roasted veggies and in this case, used it to season up rice and shrimp for a fantastic Friday night meal in Lent. 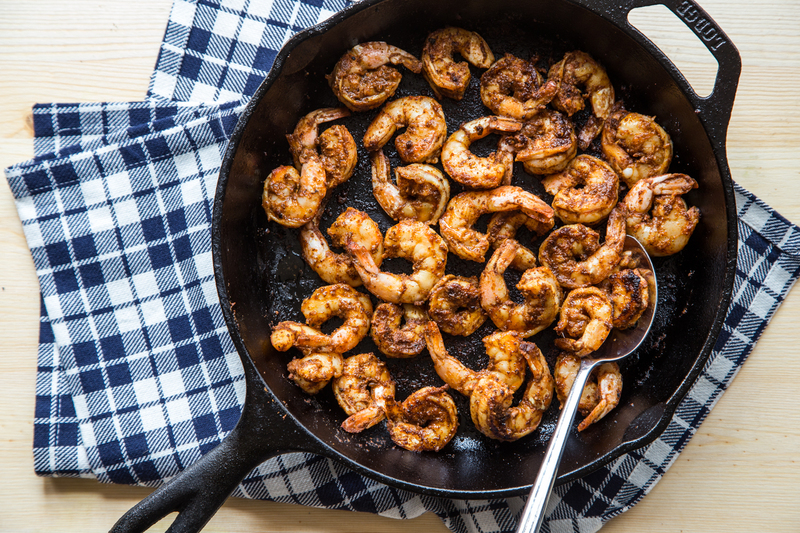 This recipe is heavy on the spice because I love that blackened shrimp quality. 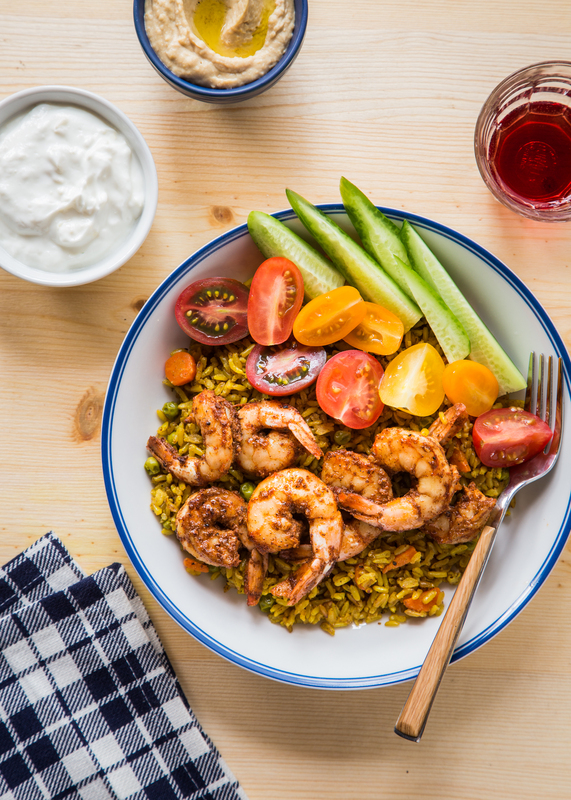 The heavily spiced shrimp are balanced by the warmly seasoned rice and the fresh, crisp cucumbers and tomatoes. The creamy, tanginess of the garlic yogurt sauce cuts through all of the spice. I love when a new recipe idea comes together in such a satisfying way. I have made this no less than 3 times since Lent started and my family has been loving it with a generous side of hummus and pita bread. C would eat the entire pan of shrimp dipped in the yogurt sauce if I’d let her. Luckily for us, she’s been willing to share. 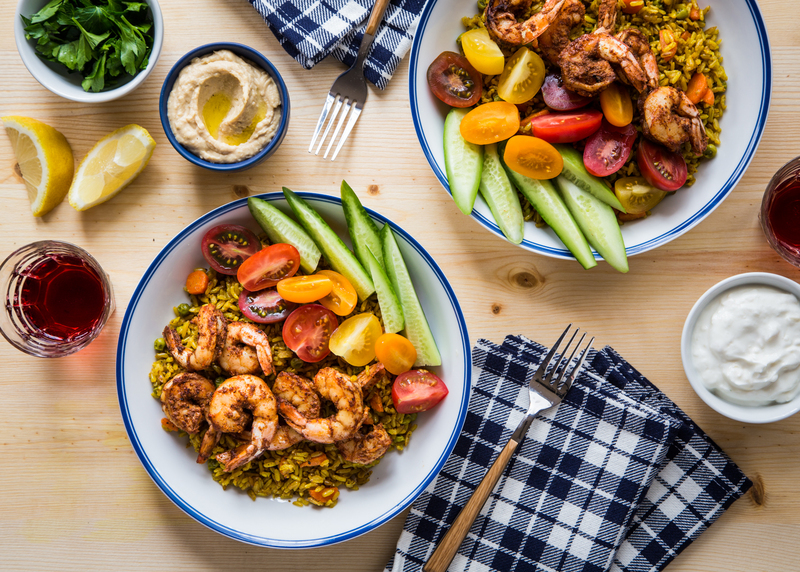 If you observe meatless Fridays during Lent, I would love to hear what you’ve been cooking up 🙂 In the meantime, be sure to give these Shrimp Shawarma Bowls a try! In a small bowl, whisk together coriander, allspice, cinnamon, cumin, ginger, turmeric, and black pepper. Store leftover seasoning blend in a glass jar with a tight fitting lid. In a large sauce pan, heat 1 teaspoon of extra virgin olive oil over medium heat. Add rice. Stir until rice is coated in the oil and beginning to toast; about 2 minutes. Add 1 1/2 teaspoons of Homemade Shawarma Seasoning, 1 clove of minced garlic, and 1/2 Kosher salt. Stir to coat the rice in the seasonings and cook for an additional 30 - 60 seconds or until spices become fragrant. Add water, peas, and carrots. Raise heat to high, and bring to a boil. Cover and reduce heat to low and allow rice to simmer for about 35 minutes, stirring occasionally. Check rice at 35 minutes for doneness. If rice is still slightly stiff, allow to cook for an additional 5-10 minutes. Meanwhile, while rice is simmering, place shrimp in a medium size bowl. 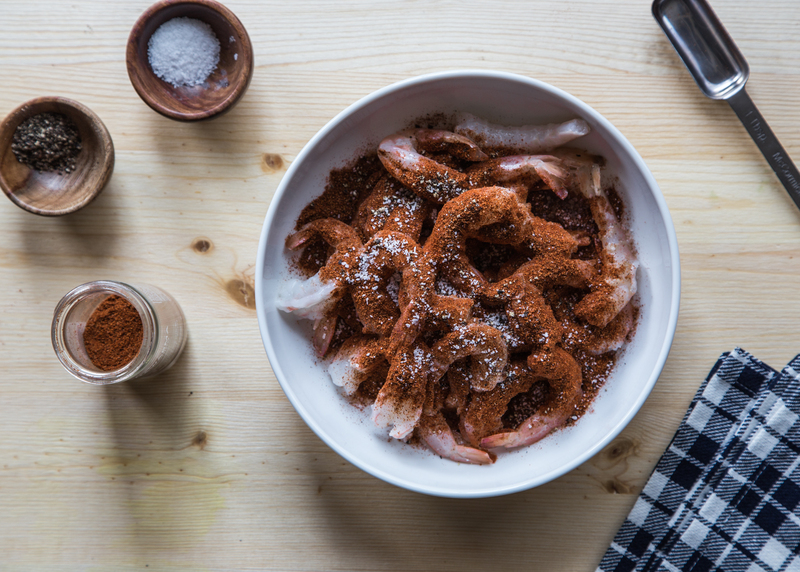 Sprinkle shrimp with 2 Tablespoons of Homemade Shawarma Seasoning and 1/2 teaspoon of salt. Stir to coat shrimp. 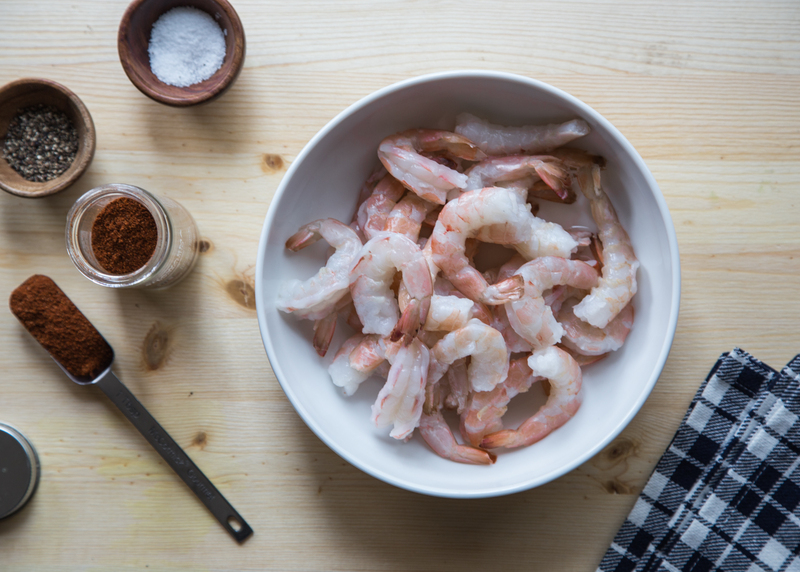 Cover and refrigerate shrimp until ready to cook. About 10-15 minutes before rice is finished, heat remaining 2 teaspoons extra virgin olive oil in a large seasoned cast iron skillet or non-stick skillet set over medium/high heat. Add shrimp and cook, stirring occasionally until shrimp are plump and cooked through; about 5 minutes. In a small bowl, stir together Greek yogurt, remaining garlic, lemon juice, and sesame oil until well combined. 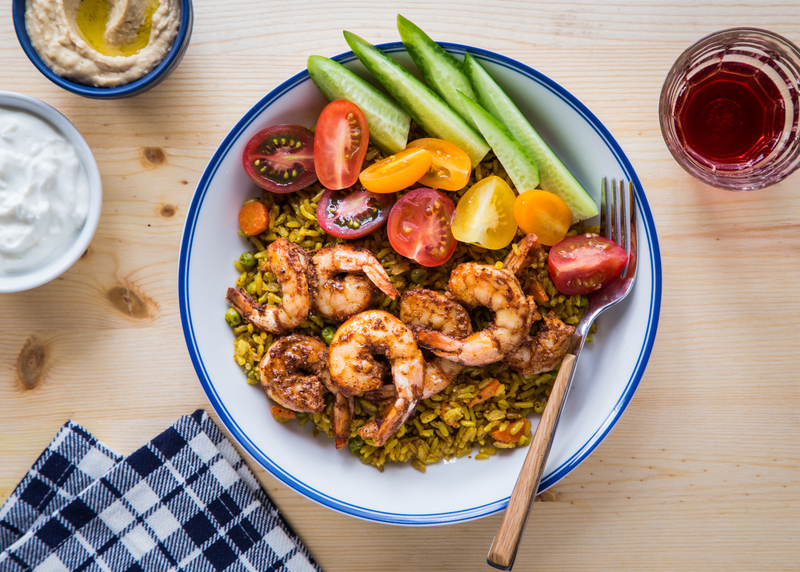 To serve, divide rice and shrimp into 4 dinner bowls. Top with cucumber, tomatoes, yogurt sauce, hummus (if using), and lemon slices (if using). 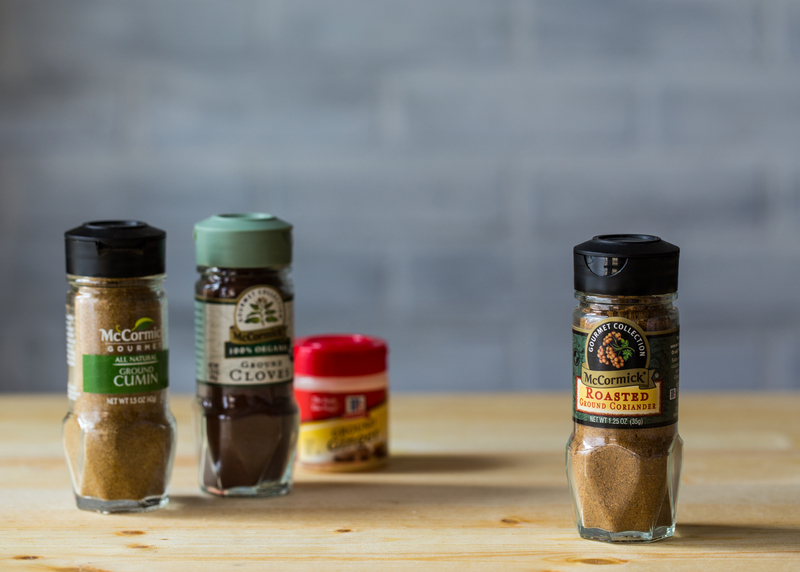 Notes: McCormick World of Flavors has a fantastic Shawarma Seasoning Spice Blend available online, along with several more seasoning blends that are great spice blends for a variety of dishes. With grilling season around the corner, I know I will be using these all the time! That looks terrific! Such a fun and tasty way to approach shawarma. 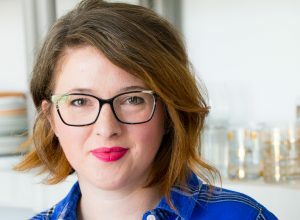 Hi Emily, love your food blog as well as IG. I will add your lovely blog to my blog roll. These bowls look fab-U-licious!!!! Count me in for 2! Would recipe work with chicken? Yes! This would be great with chicken. I would cut the chicken into small pieces before rubbing it with the spice mix. Then cook the same as you would the shrimp. It may take a few more minutes than the shrimp takes to cook. Good luck and thanks for stopping by, Glen!